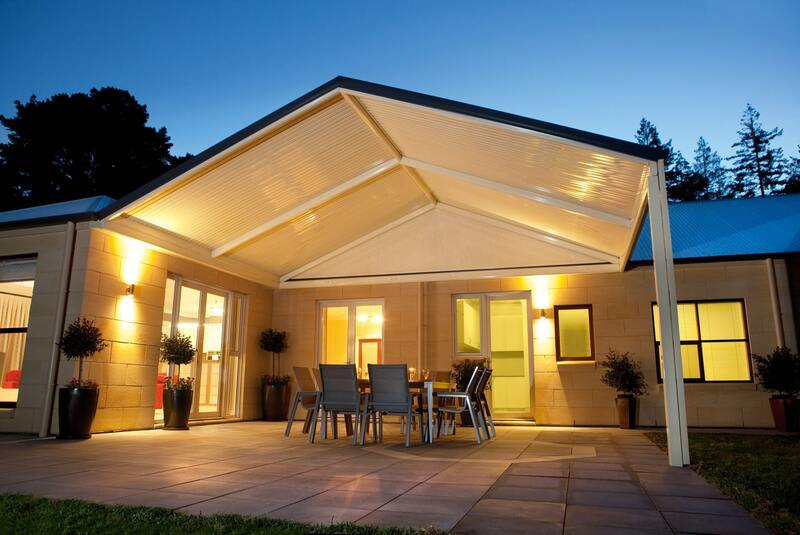 Verandah Designs Adelaide - Deciding on the best verandah for your home. Verandahs used to be rather standard in terms of design and visual appeal. However, through the years, Verandah design has evolved considerably. Today, lucky for the home owner, there are a myriad of Verandah layouts, materials and designs to choose from. Depending on your home layout, and your personal objectives (ie. how you intend to use your space and what you would like to achieve), you could be open to a wide range of options for a Verandah. Let’s take a look at some choices you might have to decide on before you even contact a roofing company that specialises verandahs. A verandah is basically an extension of your roof. It provides an extended shelter beyond your built-in roofing. Besides layout, you can also choose the material, color and profile of your verandah. Generally, you could choose between wood or metal sheets (colorbond). If you have a colorbond/metal roof, you would generally want match your verandah by using the same material. 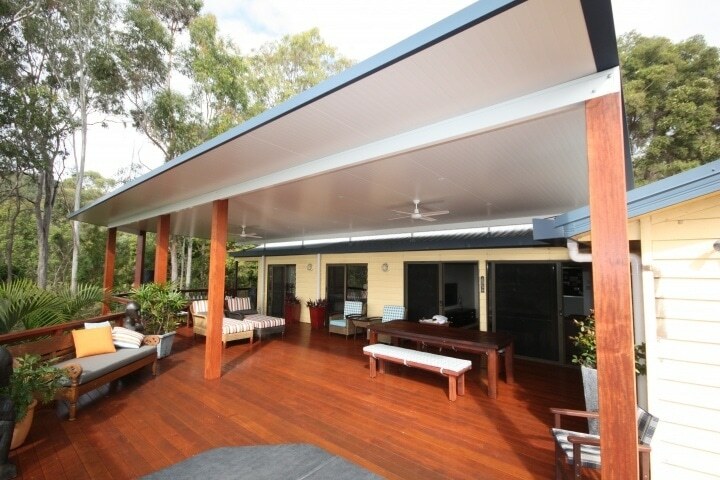 However, some owners have unique design ideas which could nicely blend a wooden verandah with a house with colorbond roofing. 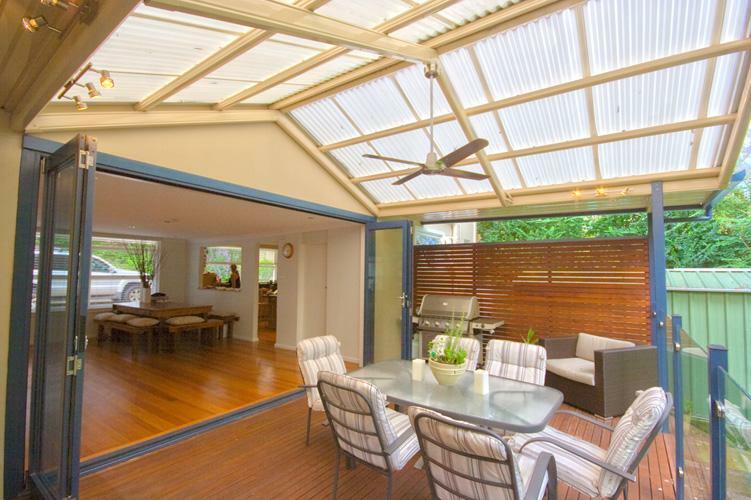 Wooden verandahs give a more “character” feel to the home and can lend a very cosy atmosphere to the home. They are generally harder to install and cost more as good quality wood is not cheap. 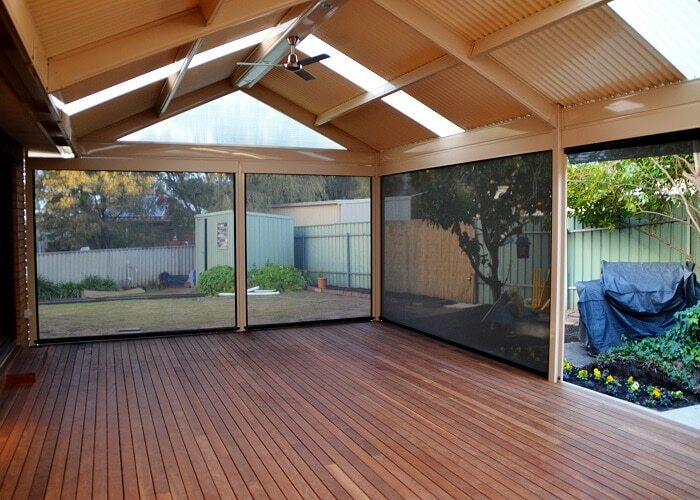 Metal verandahs are very durable, easy to install and much cheaper in terms of material costs. 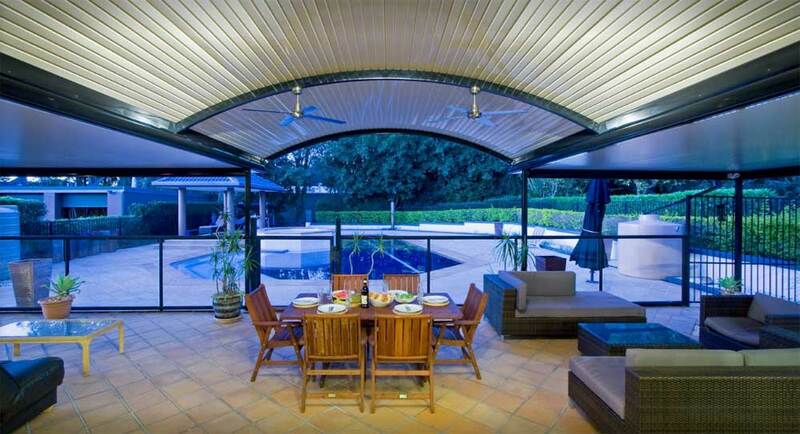 Most modern homes will go for metal verandahs as they are both durable and cost effective. There are many different wood grains and colors you can choose from should you decide to install a wooden verandah. You would want to select a wood type that is highly durable and that can withstand the climate of South Australia. If you are opting for a metal verandah, colors abound. In fact, you could likely choose from the full range of colors found in the colorbond catalogue. In addition to the color and type of material, you can also decide on the profile for the Verandah. You could have a flat rectangular profile, or the curved profile, or even a mix of both. You can also introduce see through sections on your verandah so that light can pass through – providing illumination ( like a skylight). 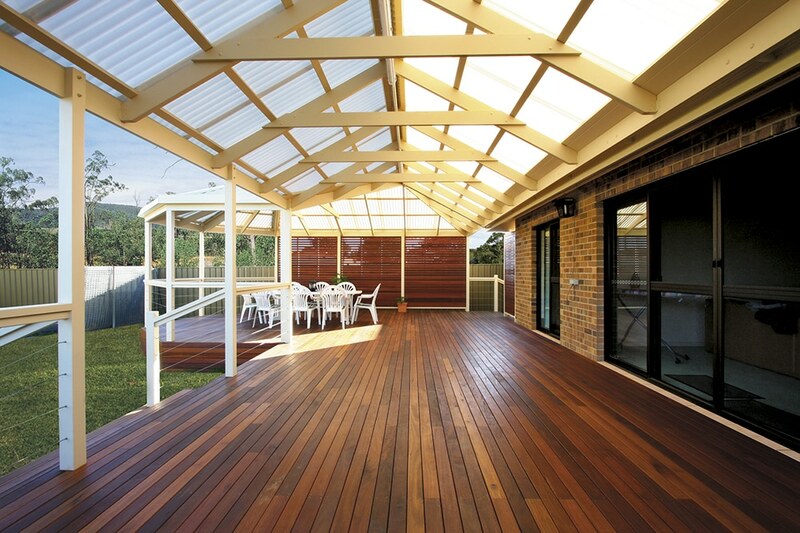 When it comes to Verandah installations, do not comprise on quality. Go for the best material you can afford, and definitely work with a trusted verandah specialist. Once installed, you will want your Verandah to last you a long time, and not have to worry about leaks and repairs. Hence, the quality of work during installation is very important. 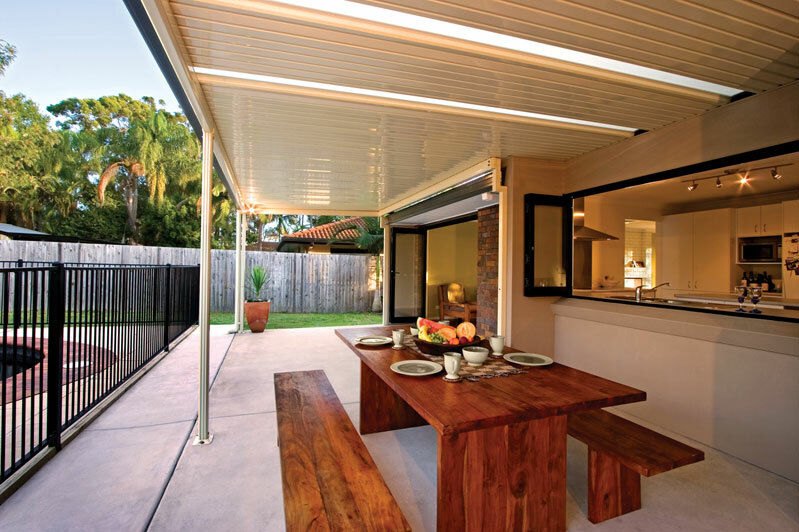 Even new Verandahs, if installed poorly, could lead to heaps of problems. Including leaks, sheets coming loose due to strong winds, etc. Contact Rite Price Roofing today at (08)83435988. Our roofing experts will provide expert advice on the best approach to choosing and installing the best Verandah for your home. We use only the best quality materials, backed by an extensive workmanship guarantee. 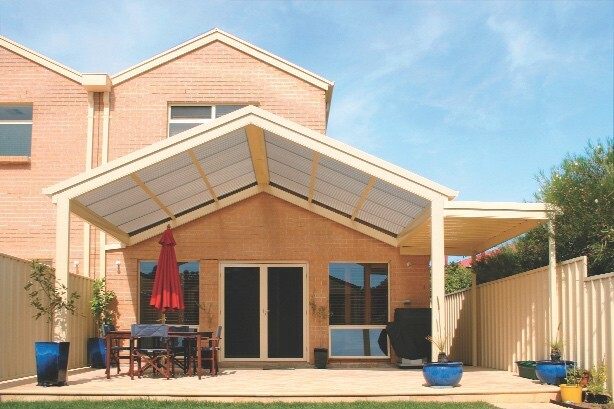 Need a Verandah installed? Leave it with us!